In this podcast episode we speak with Dr. Maryann Akers. She imparts knowledge to help us understand sexual abuse victims and why they sometimes stay with abusers. We also explore the mindset of the offender and discuss whether or not they can change. We must continue the important discussion about sexual predators to be able to support victims and recognize the warning signs to prevent more girls and women from being victimized in the future. 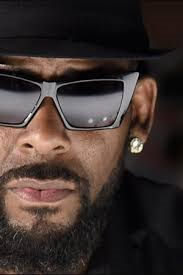 The problem is way beyond R Kelly, as we have offenders in our neighborhoods, schools and even churches. Let’s keep the conversation going. Take a listen and join the conversation by adding a comment to our Facebook page or on the website.